KUALA LUMPUR (June 13): The Battersea Power Station (BPS) is a prime central London development that was acquired by Sime Darby Property Bhd, S P Setia Bhd and the Employees Provident Fund (EPF) through “a competitive tender process” in September 2012, said S P Setia and Sime Darby Property. The property developers were responding to news reports quoting PKR de facto leader Datuk Seri Anwar Ibrahim that the BPS deal and other major “dubious” property investments in the UK will be investigated by the new Pakatan Harapan government. Yesterday, shares of S P Setia lost 25 sen or 7.81% to RM2.95, while Sime Darby Property fell eight sen or 6.2% to RM1.21. In a joint statement today, the two property developers noted that work on the Power Station building itself is progressing well and it is scheduled to open to the public in late 2020. Its circa 1.8 million sq ft of space will include 500,000 sq ft of offices which have been pre-let to Apple Inc, they said in the statement, noting that it is one of London’s largest ever office pre-lets. The Power Station will house 120 shops and restaurants, event space and visitor attractions, as well as 253 residential apartments, which are currently 90% sold. Moreover, it said the development will also benefit from the opening in late 2020 of the 3km extension of the Northern Line underground to a new Zone 1 station at BPS. “This £1 billion investment by Transport for London will support the rejuvenation of the entire Nine Elms area including the recently opened US Embassy and a further 20,000 new homes,” it said. It is currently expected that 40 million people will be visit BPS annually, when it opens. Furthermore, it said the site acquisition and the subsequent costs of the BPS development have been fully funded by a combination of equity from the shareholders together with development debt provided on commercial terms by a mixed group of nine Malaysian and international lenders — of which more than 60% has been provided by the international lenders. “The £458 million development loan for Phase 1 has been fully repaid ahead of schedule. The initial capital invested into the project by the developers and the profit from the first phase is now being reinvested into developing the subsequent phases,” it added. Also, in January 2018, it was announced that BPS’s shareholders and management were considering a divestment of the commercial assets and had initiated conversations with the EPF and Permodalan Nasional Bhd (PNB). Currently PNB and the EPF together own approximately directly and indirectly 67% of the equity in the BPS development. PNB holds majority stakes in S P Setia and Sime Darby Property, which jointly own 80% of the equity in the BPS development, whilst the EPF directly owns 20% of the BPS. 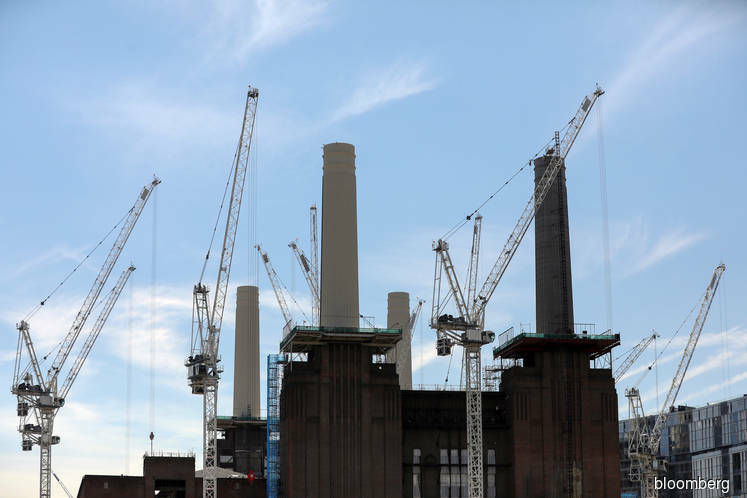 On Jan 18, 2018, PNB and the EPF signed a heads of terms with Battersea Phase 2 Holding Company Ltd to initiate preliminary negotiations to purchase the commercial assets for an estimated total consideration of £1.608 billion. The statement noted that the purchase price is still subject to further due diligence and on the basis that the development is completed and fully tenanted. “As previously assured by all parties the decision to explore the potential reorganisation of ownership is purely an investment consideration initiated by the BPS Board and management team, together with the EPF and PNB,” it said, adding that the two property developers are in view that the transaction will enable them to continue to reallocate capital to other areas of their development businesses. “PNB and the EPF view this as a strategic opportunity to secure ownership of a unique and iconic real estate asset which will be able to deliver sustainable income streams into the future to meet their respective income needs,” it added. It said the transaction is expected to generate an attractive long-term yield for the investors and the transaction has been extended to June 29, 2018. “The parties are continuing to work positively and constructively together towards completing the proposed transaction and a further announcement will be made in due course,” it added. At 10.23am, shares of S P Setia were up four sen or 1.36% to RM2.99 for a market capitalisation of RM11.48 billion, while Sime Darby Property’s share price was three sen or 2.48% higher at RM1.24, giving it a market capitalisation of RM8.23 billion.